Blending Table - Let us build a custom program for you! Let us build a custom program for you! Find out how Blending Table can increase your online sales, customer loyalty and retention through technology programs for your winery. We'll create a program to manage everything from a single bottle to your custom barrel program. Customization has been shown to build long-lasting customer loyalty while reducing the importance of bargain prices. From corporate events and weddings to anniversaries, birthdays and new babies. 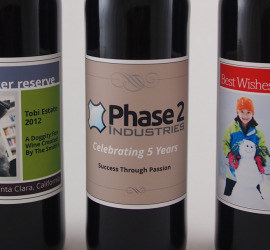 A customized label paired with your premium wine is greater than the sum of its parts. The Blending Table team is dedicated to your success. Find out how we can help. Learn how Blending Table can help dramatically increase your online wine sales and increase revisits through one of our unique customization programs. We partner with wineries on technology! 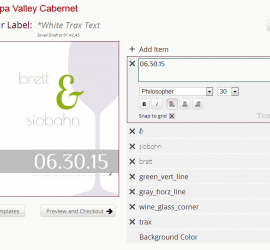 Website design, E-commerce and online label designer, and mobile apps to help promote their wines. Located in Napa, TheWineFoundry specializes in blending technology with traditional winemaking craftsmanship to produce high-quality custom wine. Blending Table actively supports all of our winery partners during their own celebrations and events.